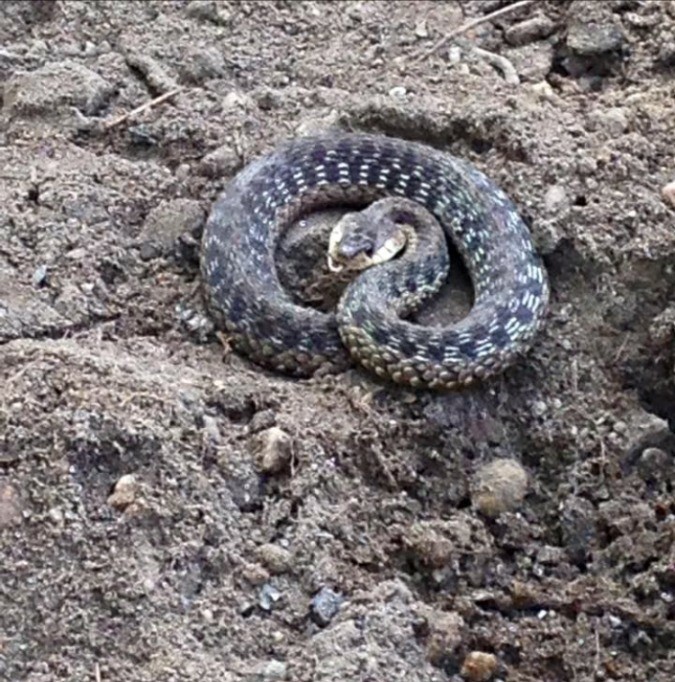 Trying to identify a snake seen in your garden or on a camping trip can be difficult. This is a guide about "what kind of snake is this?". 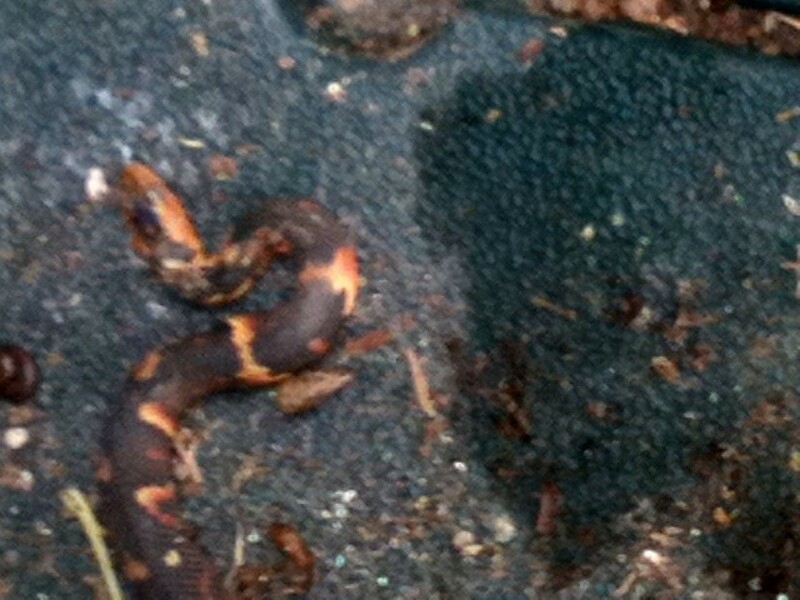 Question: What Kind of Snake Was This? 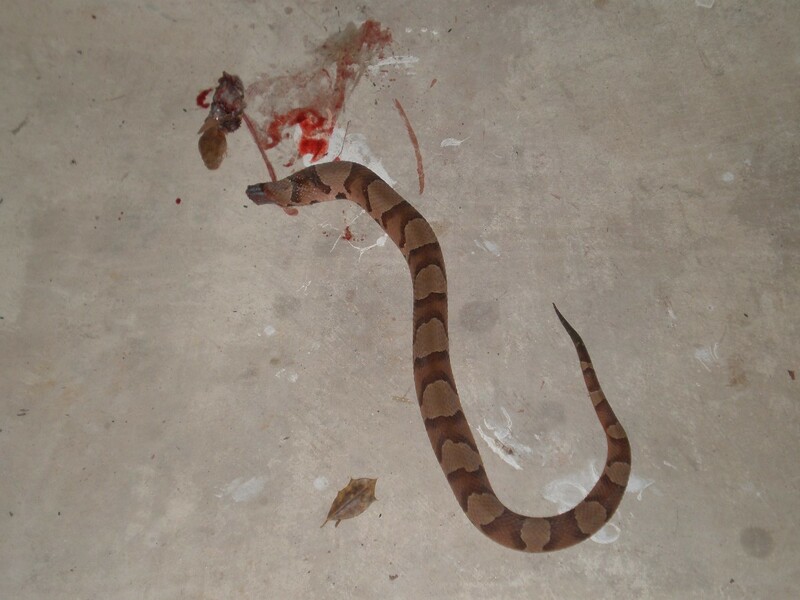 I had a snake come into my garage, fortunately my husband was able to kill it (while I freaked out). Can anyone identify it? 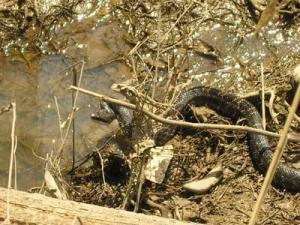 It could be a water snake, which isn't poisonous. It would be helpful to know where you are located. 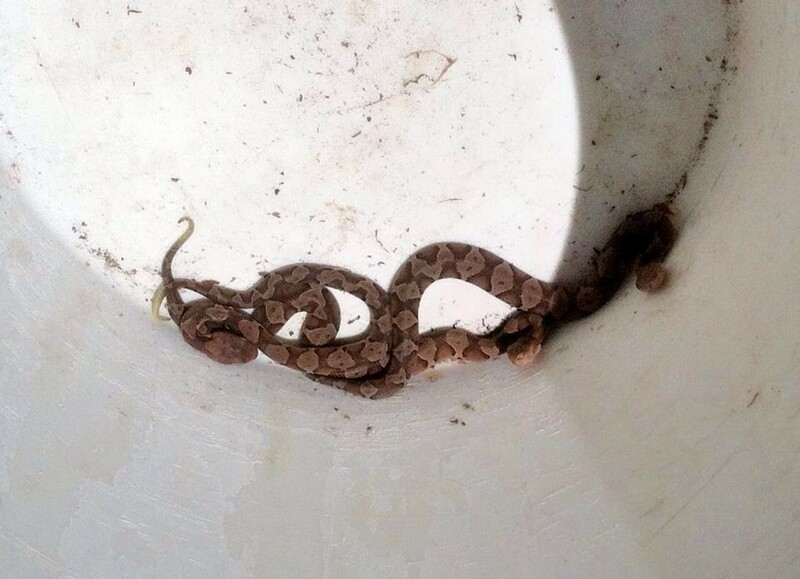 That looks like a copperhead snake & they are dangerous venomous. Question: What Kind of Snake Is This? We live in Escondido, California. 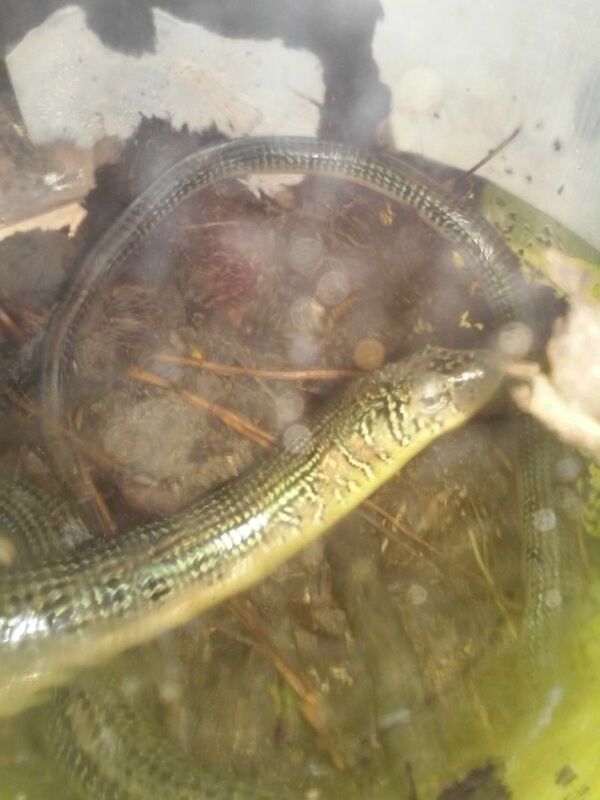 I found this in our backyard last night and am curious as to what type of snake it is. I do not feel this is a venomous snake but I'm not sure anyone has correctly identified your snake. Garter snake? Probably not as garter snakes have long stripes down their body and your snake has bands around the body. 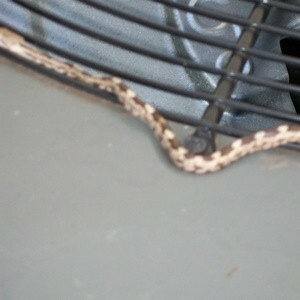 Gopher snake? Probably not as the markings on a gopher snake are very "busy" (lots of markings). Rat snake? Possibly but I could not find a similar rat snake photo. 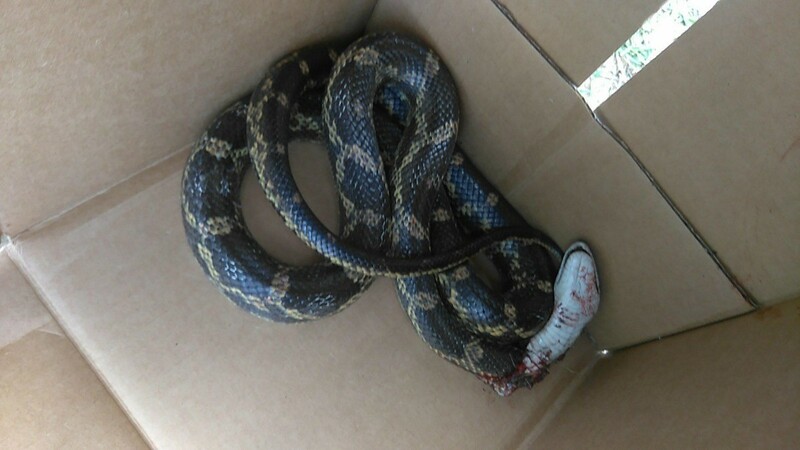 Since snakes change within hours after death it is possible this is not the best photo to review but from the photo, it looks similar to the CA king snake. King snakes are found all over CA and they are harmless and nonvenomous. 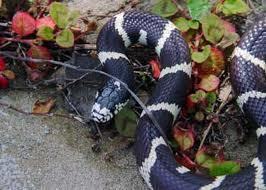 There are many colors/types of CA king snake but they are banded. If you still feel you would like more information you can contact your local county extension office and they should be able to help you. Here is a link to help you find your county office. Question: What Type of Snake Is This? 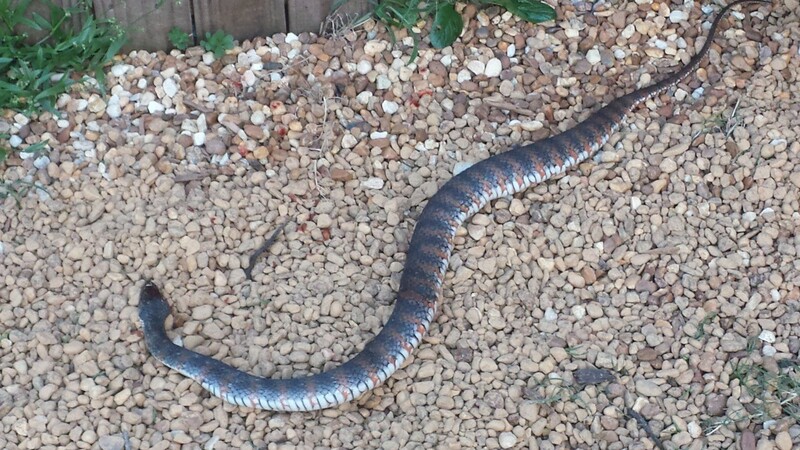 My hubby found this snake mowing lawns, at work. We are in South Carolina. I'd like to keep it, but not if it is poisonous. My buddy had this coming out of his attic. We are just curious what it is and the best way to keep them away. Snakes enter an attic for warmth and food. Your friend probably has mice or rats in the attic. He may not see them because the snake is doing a good job of eating them. This could be a rat snake, which is a good climber. Once the rat or mice problem is addressed, the snakes will find somewhere else to go. Question: What is This Snake? 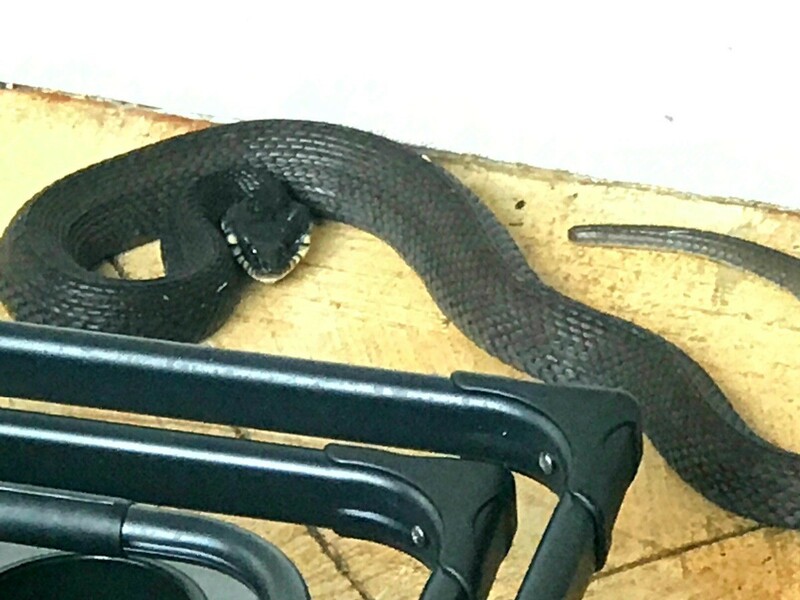 I found this snake in our garden shed and I don't want to kill it if it's not dangerous. It looks bigger than it is; it's just a baby. Please let me know. I Googled Arkansas snakes and there are hundreds of pictures, but none match this one! "Red touches yellow- kill the fellow! Red touches black - happy Jack"
Meaning if the red banding bordered yellow banding the snake was poisonous and the advice was to kill him before he bit and killed you. If the red banding touched the black banding, Jack (you or whomever was deciding if the snake is dangerous) could be happy and let the snake go on it's way. But that is one unusual looking and coloured snake! It even looks as though it has a rattle at the end, but it sure doesn't look like any of the rattlers I grew up seeing in the American desert southwest. I'd check with the agricultural agent to be sure, and to get some good free advice on figuring out what attracted that snake to your property. 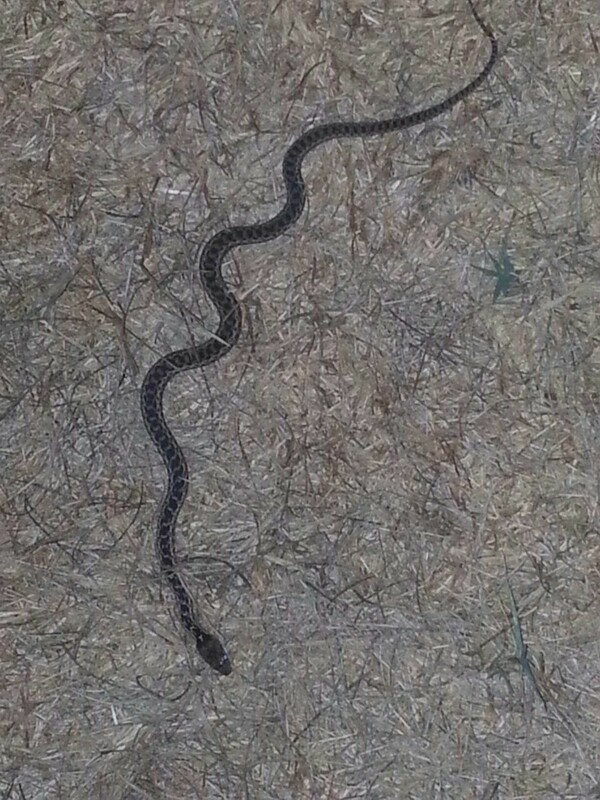 What kind of snake is this? Photo taken this morning. I think it resembles the worm snake. I used to play with them all the time when I was a child. The "snake" in the photo is actually a lizard. 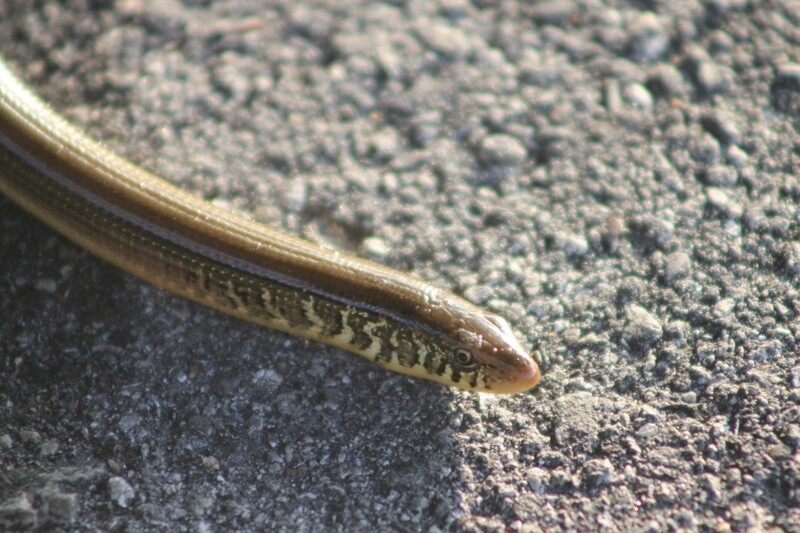 It is a Glass Lizard (Ophisaurus sp.). 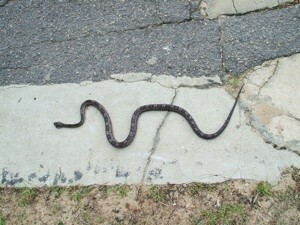 What kind of snake is solid black with white stripes about an inch apart? It was roughly about 3 to 4 feet in length and about an inch in diameter, fast, and very aggressive. 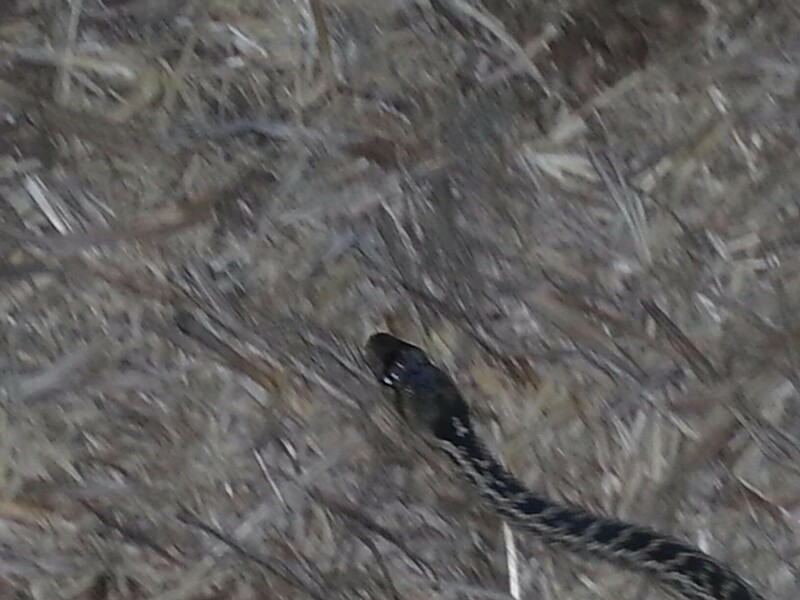 It may be a eastern king snake, non-poisonous. I do remember he is a good guy. Goes after rattlers. Was it a king? Don't quote me. Main thing, do not hurt him. www.blurtit.com/q865770.html This should help you out. He is harmless and just likes to be left alone. King Snake..great to have around if you don't want rattlers, same with Bull Snakes. 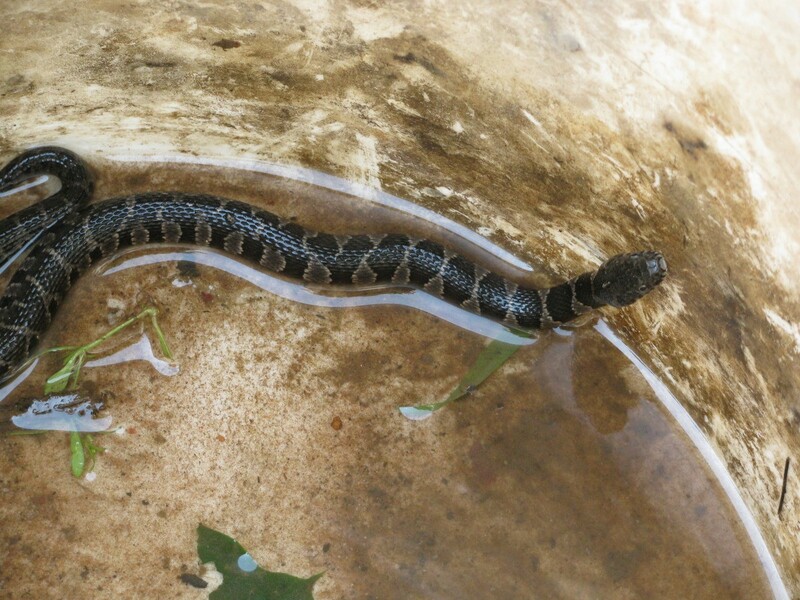 Kingsnake or Garter/Ribbon Snake, depending on whether the stripes run across the body(king) or down the body(garter). What kind of snake is this? I am in Madisonville, Louisiana. 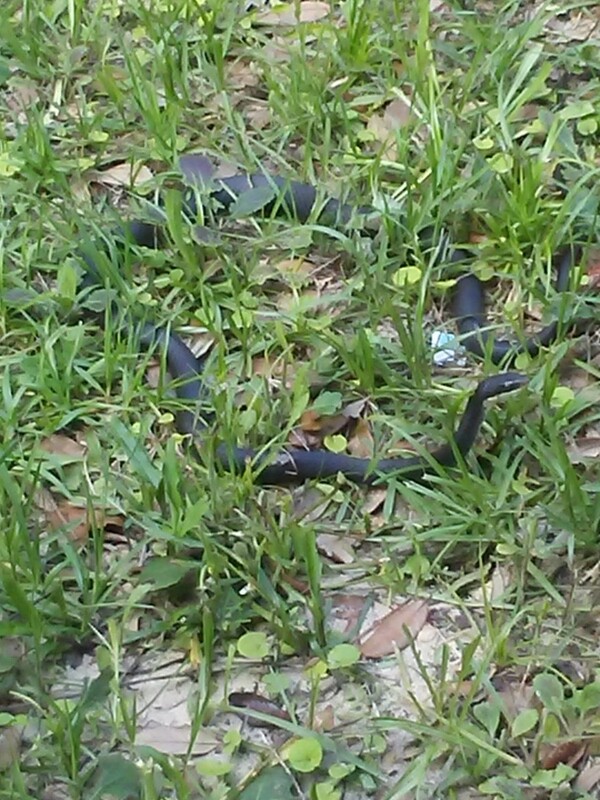 We found this snake in our back yard yesterday. Our neighbor thinks it is a moccasin. 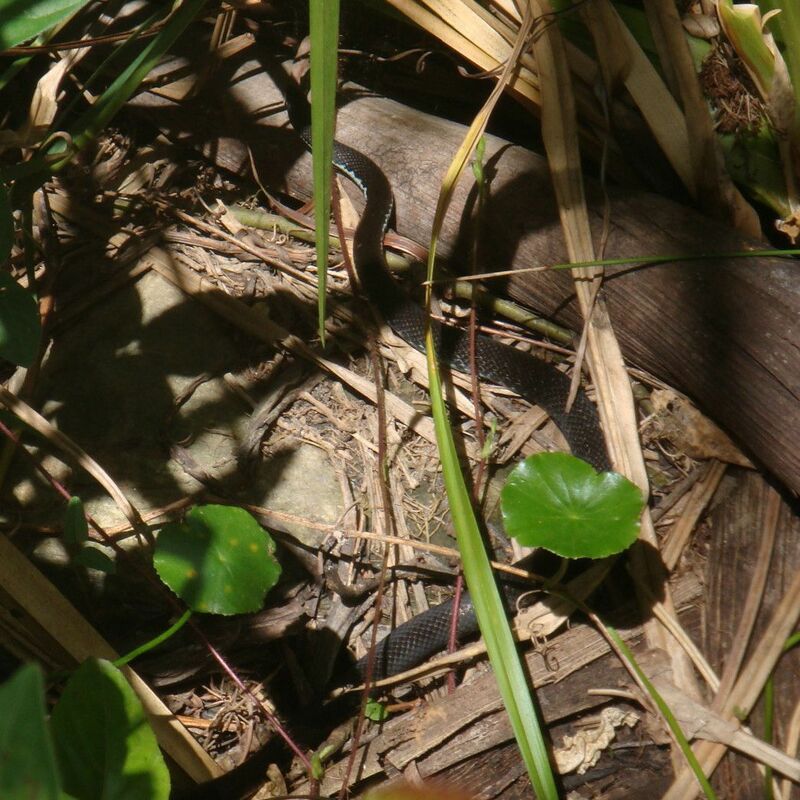 It is red and black striped with a whitish belly. The head does have black lines from the eyes to lips and the head is a diamond shape. We live in Tampa Florida and there is a conservation area out back. Today I saw a snake just in front of the door of my terrace. Does anyone know the type? Is it dangerous? It was beautifully colored bronze and so attractive that for a moment I was thinking to catch it! I need to know what kind of snake is this? It was out side our house. I live in southwest Houston, TX. Is this poisonous? Question: What Kind of Snakes are These? I found about 5 so far, coiled up, but know they are a little aggressive. They are about 6 - 12 inches long. Can some one tell me what kind of snake this is? It's about 13 inches long. 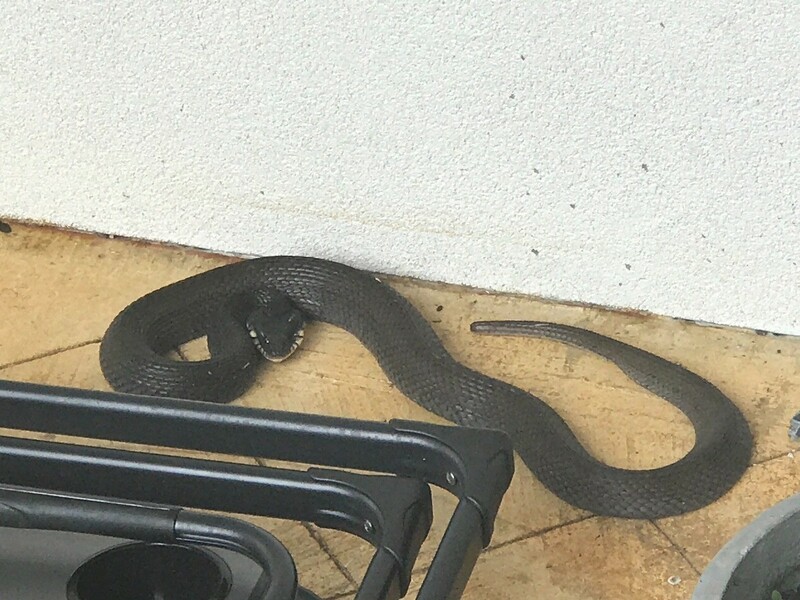 My father-in-law found this snake in his garden this morning. We are wondering what it is? I am researching but no success yet, any ideas? I have other pictures with its markings. Thank you. It helps to identify the region where the snake was found. 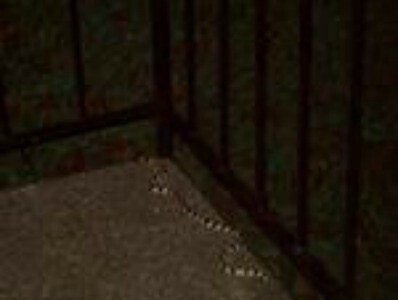 The photo was too low resolution to make a positive i.d., but I think one of these may be your snake --- good news, if so, because they are both non-poisonous. My bet is on the "rat snake" Your snake clearly lacks rattles, so is not a rattler. This looks like a Water Moccasin or Cottonmouth, but it is actually a non-venomous species known as the Diamondback Water snake. They have evolved to resemble poisonous snakes so other, bigger predators will leave them alone. However, they are still very nasty, and when provoked, will take a hunk of flesh. Notice how he arches his neck when provoked, and how the head itself is "diamond" shaped, closely resembling that of a viper. 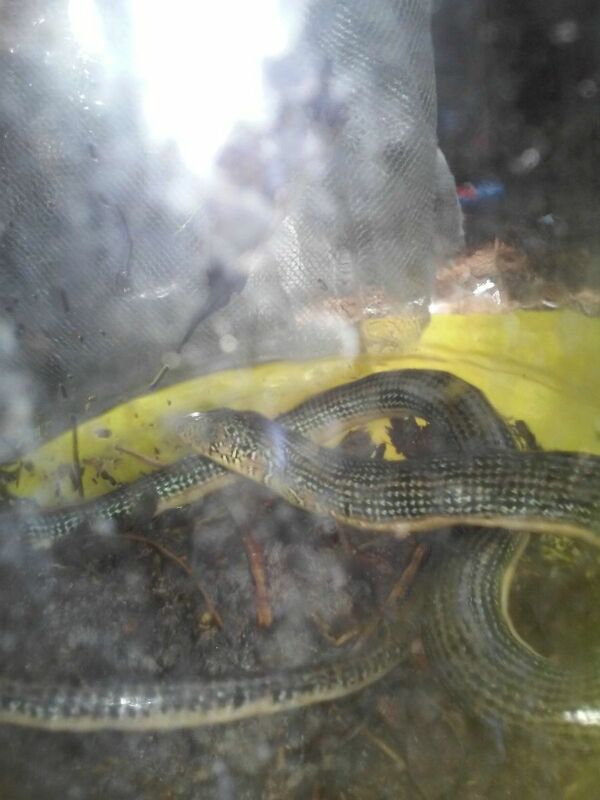 This is a much calmer Ribbon Snake. This one has green stripes, but they come in many different colors. From the picture, I can not make a definate determination. Here are a couple of links to snake pictures. Since you or your father-in-law saw it close enough to take the picture, you would be the only ones that could definately determine. I keep the second one handy as we live in the NE GA area and are surrounded by water and forest. I hope this helps you. Sorry I couldn't help more. 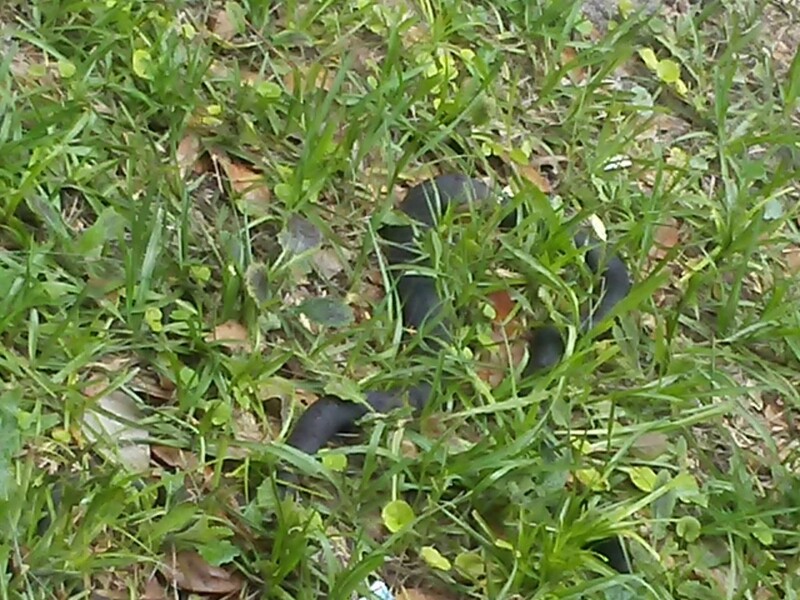 Looks like the very rare but much feared rattleheaded copper moccasin to me. I agree with the post about the head shape. 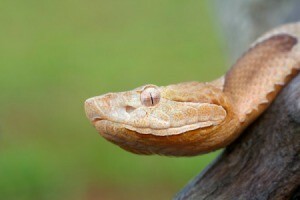 I was always taught that the diamond shaped head of a snake means that it is poisonous. How worrisome! Can anyone tell me what kind of snake this is? I am sorry the pic is a little blurry. It is a type of rat snake. 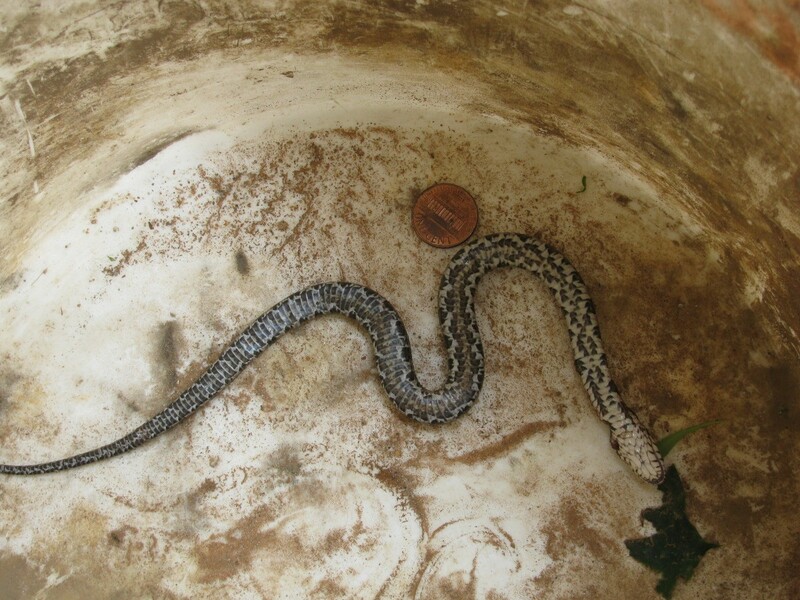 Google images Texas rat snake and you will probably see it. Question: What Is a Bull Snake? I have heard people talk about a bull snake and was wondering what it is. It is from Florida. I live in Massachusetts. What kind of snake is this? I found this snake in the Dominican Republic a couple of years ago in July/August. I've been wondering what kind of snake it is ever since. Could anybody help? I don't have a better picture unfortunately. 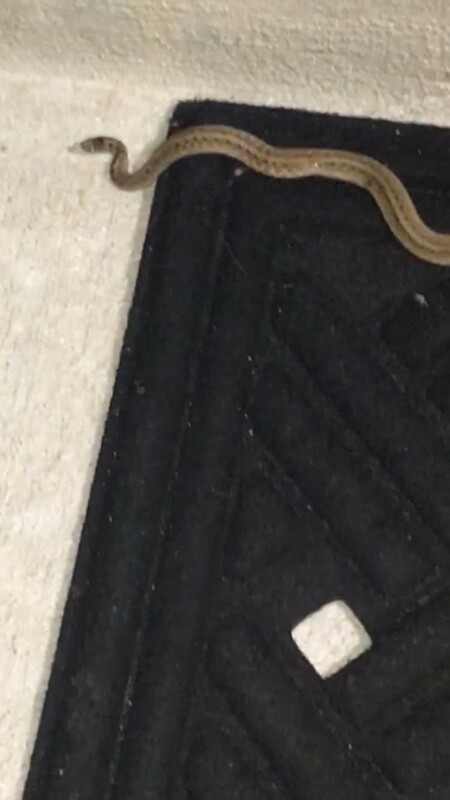 My daughter lives in Eastpoint, GA and last night she found a snake on her porch. 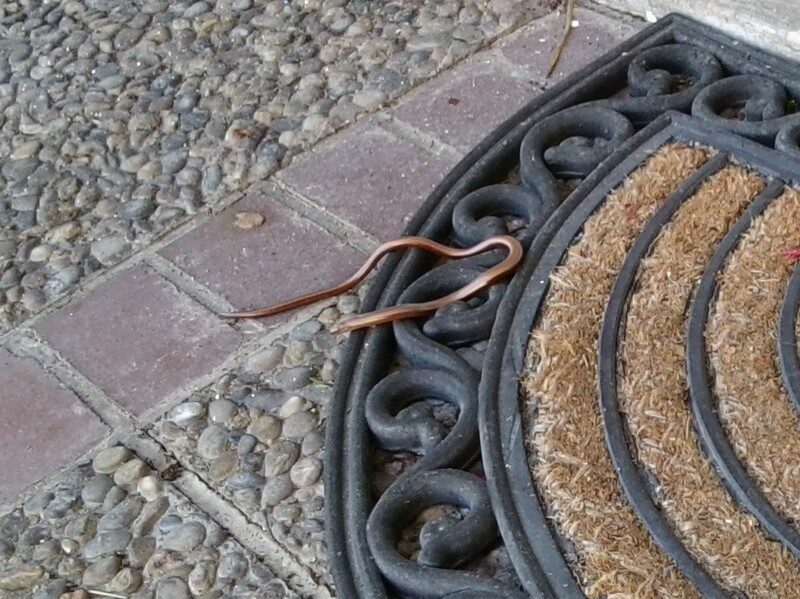 Can someone tell me what kind of snake this is? Thank you so much. What kind of snake is this? I think black racer, but I just want to make sure. He's been in this spot for 3 days now and I have a toddler that can't play in the yard till he's gone.